In Book One, Protected by the Falcon, Ilona is thrust from her easy and steady life and forced to face the unknown, which prompts her to discover ancient tribal secrets. In Book Two, she obtains unimaginable abilities to protect her sister, who bears the next leader of the clan. She can use her powers for absolute good or absolute evil; the choice is up to her. Ilona's birthright as a healer runs alongside her desires as a woman. She must sort through her own feelings about the men in her life. Travel with Ilona from the time her people were nomads, to the castles of the 14th century, to present day, as she struggles to overcome the obstacles placed in her path. I don’t usually read many books from this genre, but I really enjoyed this one. The narration brought the story to life and held my interest throughout. The story was well thought out, complete and will keep you listening. I will definitely be watching for this author in the future. * I was provided a free copy of this book from AudioBookBlast for review. 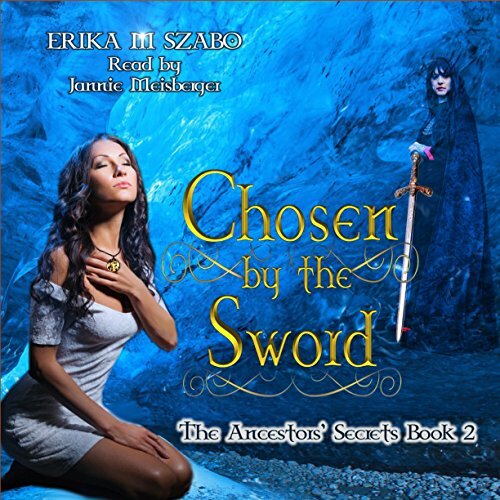 Where does Chosen by the Sword rank among all the audiobooks you’ve listened to so far? It's up near the top. What was one of the most memorable moments of Chosen by the Sword? Wher Ilona took the powers away from Morana's son and made him whole again. He was free to finally find and be with his long lost love. Getting into the healing cave. Ilona was prepared to make the ultimate sacrifice for her sister. No it is too long. I was able to like the author this time after having listening to other various narrators so I wish I could update my review of the 1st book in this series. I would listen to this narrator again. Looking forward to see other similar type stories from this author. Well done!